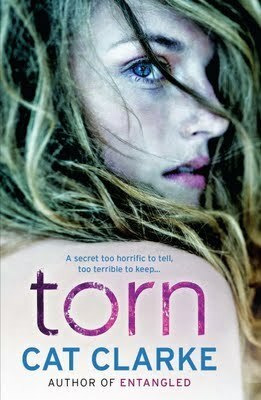 Follow Lady Reader's Bookstuff via Bloglovin --> Here! Hopefully, I will be back to blogging on the regular very soon. For right now I am under very strict orders to rest and avoid stress at all costs. I am planning several fun posts with tons of giveaways, reviews and author interviews for when I return. If you have anything that you are interested in seeing on the blog that I've never done before, please feel free to make suggestions. I would totally love that! Due to unforeseen events that have taken place in the past two days.. The post scheduled for Friday 2/10 unfortunately must be rescheduled for Monday, February 13, 2012. I regret any inconvenience this may have caused and hope you may forgive me. Blogging from A to Z April Challenge - Can you handle it? The A to Z April Challenge. A blog-fest mainly devoted to meeting new bloggers, readers, etc. but also to put your creative cells and blogging skills on the table and committing to 26 posts in April, one for every letter of the alphabet. Oh. It's tough, but it's worth it. Do you have more questions about the blog-fest? No problem. There's a website. 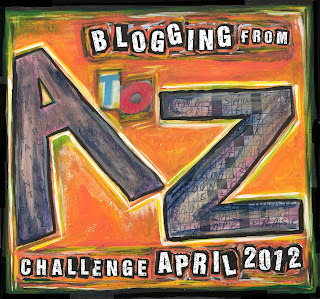 here --> A to Z April Challenge: What is Blogging from A to Z? Wanna sign up? Groovy! Do it. I. CAN. NOT. WAIT. FOR. MY. FIX. No matter how cheesy anyone thinks these 100 year old vamps are, I simply think they are HOT. Like, smokin' hot. 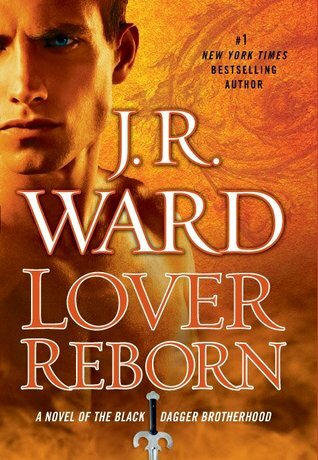 I will read every BDB novel that Ward pubs. Yes, you may say that these books are my guilty pleasure. So, what? I. LIKE. THEM. I especially like how the men treat their ladies with respect. I like the action. I like that there is always a juicy story with every new book and.. Thanks to everyone who participated and congratulations to our winners. A special thanks to Bloomsbury Publishing for sponsoring the Fracture giveaway. Make sure you stop by Friday and check out a special Q&A with author Daisy Whitney.You can check out my thoughts on The Rivals and enter to win both of Daisy's books! I'm wishing for a book that is NOT available in the US. I will happily accept in paperback or epub format. For the month of JANUARY I gifted several RAKs to others! To: Patricia aka Awesome Blogger! *Not sure if it's been received as it was shipped to Germany from the US. I have received a message stating that I have a surprise coming to me in the mail. Yay! I will post that next time. May all your wishes come true .